Auburn Cinefile Society - Local Spotlight: Siobhan Fallon … Solid Syracuse Actor!Bob Mosher… Auburn Munster! Siobhan Fallon … Solid Syracuse Actor! Siobhan Fallon (pronounced sha vahn) was born on May 13, 1961 in Syracuse, NY and is one of those multi-talented actors who can play just about any role and pull it off well. A member of the prestigious off-Broadway ’Atlantic Theater Group,’ many are likely to recognize Siobhan from her early 1990’s appearances in either Saturday Night Live, as Elaine's roommate on Seinfeld or Alec Baldwin’s sister on 30 Rock.. This talented performer has ko’d many, many small but memorable roles in Hollywood blockbusters like “Forrest Gump” (1994), “Men in Black” (1997), and “Daddy Day Care” (2003). She is a graduate of LeMoyne College and the Catholic University of America before training with the Atlantic Theater Company. After making her television debut in an episode of The Golden Girls, Fallon continued on with numerous small screen roles before moving into feature territory with the 1994 comedy “Greedy” starring Kirk Douglas and Michael J. Fox. Film critic Jason Buchanan has said that her solid mid-'90s films such as “Jury Duty” (1995) and “Striptease” (1996) proved Fallon can always be dependable for a laugh, letting us all know she has the comedy chops to pull it off. Her dramatic roles in “The Negotiator” (1998) and “Dancer in the Dark” (2000) soon began to expose Fallon's notable dramatic talents, although she would remain in humorous roles for “What's the Worst That Could Happen?” (2001) and “Big Trouble”, directors such as Lars von Trier would continue to explore her dramatic side in such features as “Dogville” (2003). Siobhan’s latest film is “Baby Mama” with the very hot Tina Fey and Amy Poehler. Bob Mosher was a television and radio scriptwriter born in Auburn, N Y on January 18, 1915. He was best known for his work on Amos and Andy, Leave It To Beaver, Bringing Up Buddy, and The Munsters, along with his co-writer Joe Connelly. Mosher graduated from Susquehanna University in 1937. Joe Connelly and Bob Mosher first worked together at the J. Walter Thompson advertising agency in NY. Leaving the agency in 1942 t devote their talents to radio comedy writing, the duo worked on shows starring Edgar Bergen, Frank Morgan, and Phil Harris before securing jobs on the wildly popular Amos 'n' Andy program. Over a period of twelve years, they earned writers' credits on over 1,500 radio and television scripts for that series; continuing to create material for the show's radio version right up to Beaver's third year. 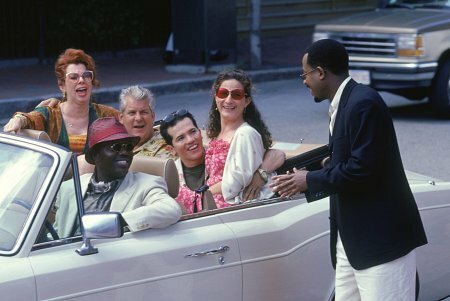 Although Amos 'n' Andy is now viewed as a distorted view of racial stereotyping, their experience on that program helped them refine a flair for extracting humor from uncomplicated, yet likable characters that the audience could easily identify. They took a situation Connelly had observed while driving his son to parochial school and crafting it into "The Private War of Major Benson," a theatrical feature starring Charlton Heston that won the pair an Academy Award nomination in 1956. It was from this real-life simplicity that Leave It To Beaver was born. In 1957, they developed a concept for a show about children. Unlike The Adventures of Ozzie & Harriet, and Father Knows Best, it would be kids who served as Beaver's focal point. The stories would be told from the kids' point-of-view as Connelly and Mosher recalled it and observed it in their own children. Mosher was the father of two children and Connelly of six. Aall of these offspring served as sources for the show's dialogue and plot lines. Connelly's eight-year-old son Ricky was the inspiration for Beaver; his fourteen-year-old son Jay the model for older brother Wally. 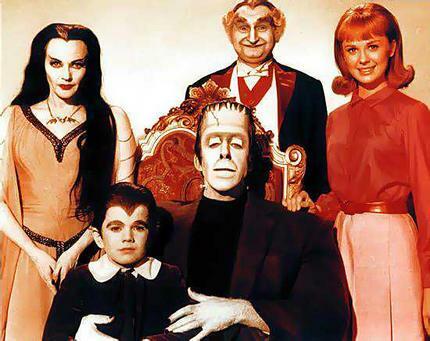 They went on to totally parody families in The Munsters. The first season opening credit sequence of The Munsters is a great example of the way they parodied the typical family sitcoms of the time. You see Lily Munster, housewife and mother, sending her brood off for the day in the same manner June Cleaver and Donna Reed did. Lily hands each of her loved ones their packed lunches or school books as she pinches their cheeks or gives them a little motherly kiss. It became a TV institution still popular today. The two were nominated for a Best Writing Academy Award in 1956 for The Private War of Major Benson. Editorial: Why do they only seem to make blockbusters today? The network that has supposedly fallen on hard times lately stole the 60th annual Primetime Emmy Awards. How? We read on the web that by making quality television product like "John Adams" and "Recount." The two alone grabbed 10 Emmys, more than one-third of the total handed out this year. “John Adams,” the much-praised $110 million-plus HBO miniseries set an Emmy record by winning a total of 13 statuettes. The 13 -- which included wins for best miniseries as well as for actors Paul Giamatti and Laura Linney, co-star Tom Wilkinson and its writing -- smashed the record for most wins by a single Emmy project in a given year, 11, jointly shared by the 1976 miniseries "Eleanor and Franklin" and HBO’s own 2004 mini-series "Angels in America." As if "Adams" wasn’t enough, "Recount," the controversial presidential election film, made it so. It won the top made-for-TV movie prize, and Jay Roach won the best direction nod. And while a TV-movie trophy is nothing new in the HBO world; it has dominated the category with greater consistency than perhaps any other network has in any single Emmy category. The victory was HBO's 14th for original television movie in 16 years. And just think if HBO hadn’t passed on "Mad Men" (which was first pitched to HBO). That series won for top drama and direction of the pilot episode. They would have owned the night. 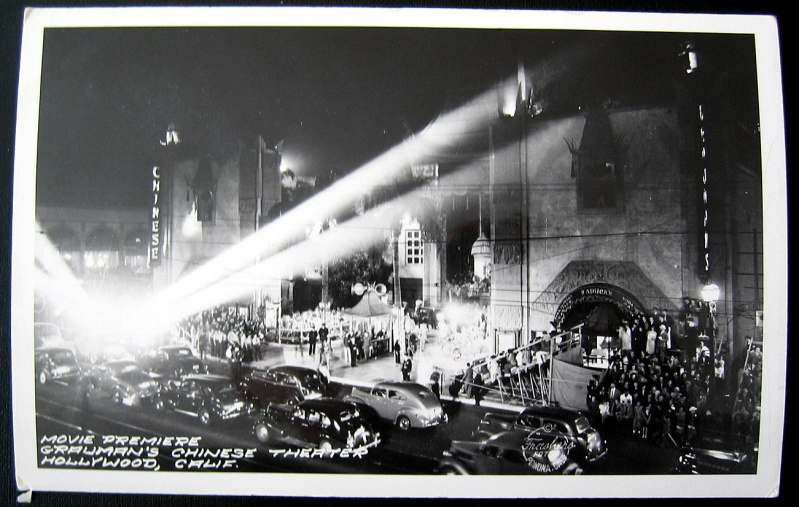 So, why does Hollywood only make blockbusters today? The answer seems to be a disappointing, that’s what we want most and we may or may not be willing to pay for it. What do you think?